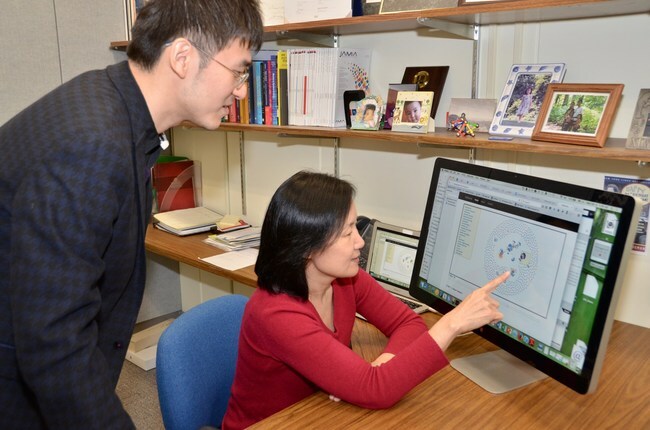 IBM researchers Ping Zhang (left) and Jianying Hu (right) have been granted U.S. Patent 9,536,194 for an invention that could accelerate discovery of more effective and safer drugs. IBM today announced that its scientists have been granted a patent on machine learning models to predict therapeutic indications and side effects from various drug information sources. IBM Research has implemented a cognitive association engine to identify significant linkages between predicted therapeutic indications and side effects, and a visual analytics system to support the interactive exploration of these associations. This approach could help researchers in pharmaceutical companies to generate hypotheses for drug discovery. One of the research areas of the Center for Computational Health at IBM Thomas J. Watson Research Center is translational informatics, which focuses on the development of novel techniques to extract insights and knowledge from biological and clinical data to support biological scientists, clinicians, and patients.